Do you find yourself overwhelmed with responsibilities all the time? If yes, it might be time to hire someone to help you out. A great employee can take work off your platter and help you grow even faster. What do I mean by saying a great employee? A fancy guy in a smart suit with a flawless resume does sound great. But for a small business, finding a like-minded person is often more important than hiring a top professional. In this post, we’ll look into some ways to find the right people for your team. You’ll also learn how to manage the newcomers so that they stay on the same page with you and your company culture. At the start, you might need an extra pair of hands to manage your online store: track new orders, chat with customers, update inventory. If you manufacture your products yourself, you will likely want an assistant. For some tasks, such as handling shipping, you’ll naturally want office workers. If the job has a physical component, you want people working next to you. However, for many other roles, such as marketing, you can hire remote workers. Since these jobs can be completed using digital tools, it doesn’t matter where your workers are located. That is why a growing number of people prefer to work remotely. In fact, 43% of the workforce in the USA worked remotely for some time last year. With Ecwid’s new Staff Accounts, an employee can manage your store from anywhere, regardless of their location. While it might not be an automatic choice, consider hiring remote employees for non-physical roles, mainly if you’re located in a city or region with rare local talent. There are some challenges, particularly with building a company culture, but the cost benefits and better talent pool makes up for it. Once you’ve decided what kind of workers you want to hire, jump to the next section where we’ll discuss where to hire these people. 36% of bad hires happen because of a poor skill match. 30% happen because employers are unclear about performance objectives. Therefore, before you start writing your job ads, be crystal clear about your own requirements. You want a balance between hard skills and cultural fit. If you run a niche business, look for someone who understands the niche even better than you. Must-have skills: Hard skills that are essential for getting the job done. If you’re hiring a programmer, for instance, you might want to list down all the languages/technologies that are a part of your tech stack. 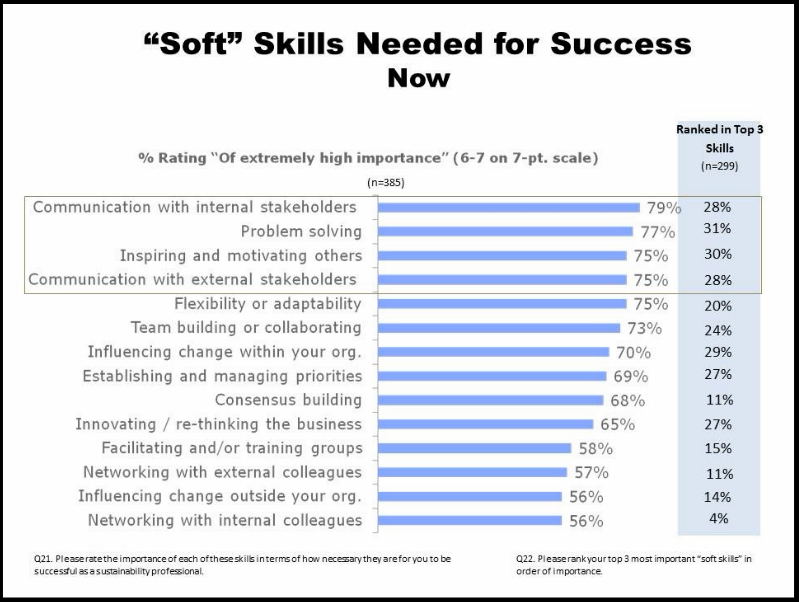 Nice-to-have skills: Ancillary skills that complement the above must-have skills. For instance, a backend programmer having front-end development skills is nice to have but not necessary. 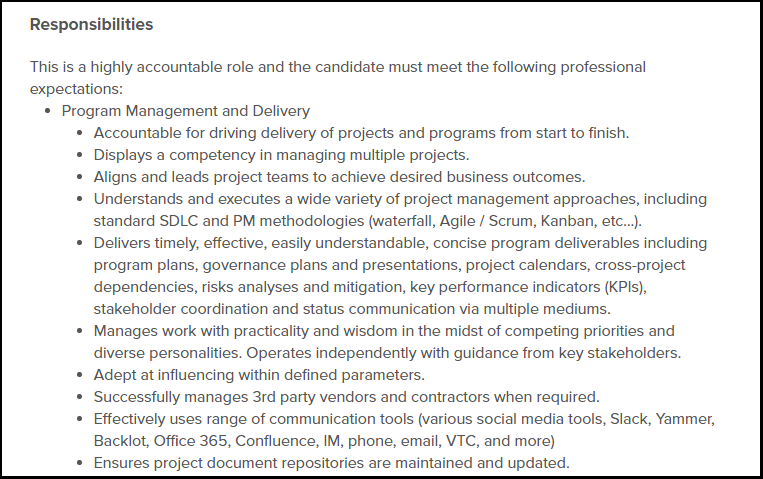 Desired qualities: List down all the qualities you want in your new hire. Prioritize qualities that are essential for the job as well as qualities that would make for a good culture fit. Culture fit: List down essential traits, educational & employment background, hobbies, etc. that would help the employee fit into your company culture. Culture fit is often ignored but is critical for success — yours and the new employee’s. You can create a spreadsheet where you list down the role and the priority of qualities/skills you want for it in order of priority. Use this as a guide to evaluate each application. When it comes to headhunting, do your best to involve all the available channels, from conventional job websites to Facebook groups and even street markets where you participate. You’ll want someone who understands the specifics of your product, so your mission is to find a passionate niche enthusiast. Strive for online and offline communities where people discuss certain products (for example, fishing fans, Apple lovers, home decorators). Traditional job boards such as Monster.com, CareerBuilder.com are a popular option for small businesses. You can either post a job ad or search for available resumes on these platforms. While these job boards offer massive reach, they also make it hard for your ad to stand out. Plus, the sheer size of these platforms means that you’ll get a number of junk applicants. 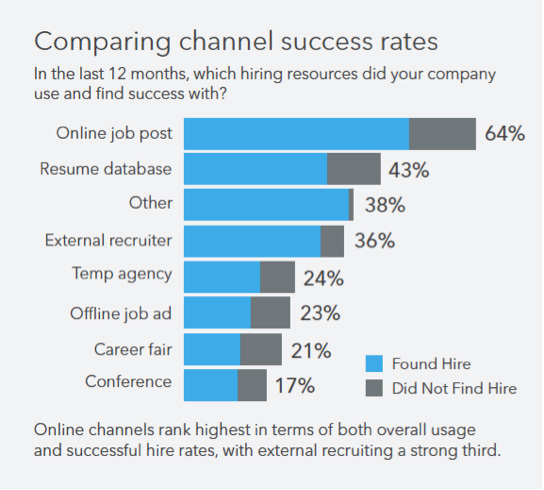 LinkedIn is a popular alternative to traditional job boards. With 476M users, it is the largest professional network in the world. There are over 10 million job listings on LinkedIn. You have the option of posting an ad or searching for the right candidates. Niche job boards are similar to traditional job boards, except that they focus on a specific niche or demographic. CollegeRecruiter.com, for instance, is targeted towards fresh college graduates, while FlexJobs is for people looking for telecommuting jobs. Some other niche job boards are GoodFoodJobs (food industry), HealthcareJobsite (health industry), OneWire (financial services & insurance), SalesJobs.com (sales professionals), AngelList (startups and tech companies), etc. Most small businesses find their new hires through job ads or resume searches on these job boards. Beyond these, you can also post your job ads on unconventional mediums such as HackerNews’ monthly Who is Hiring threads (great for hiring programmers/designers), Reddit’s /r/ForHire community, and even Craigslist (for local hires). If you’re focusing on remote workers, sites like WeWorkRemotely, SkipTheDrive, and RemoteOK are good places to check out. 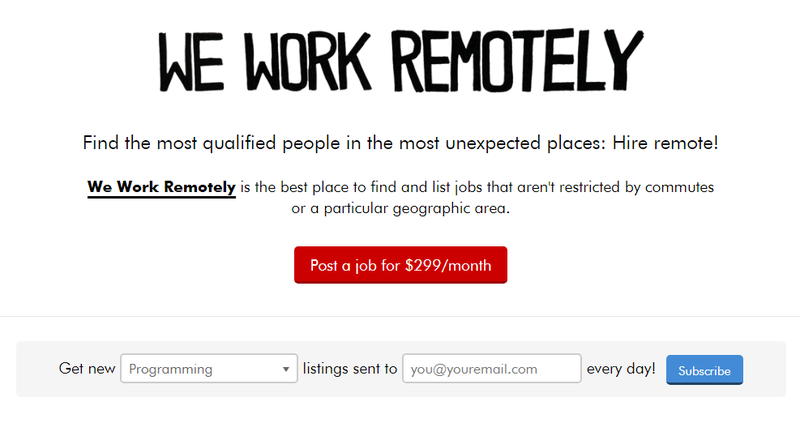 You can also post your ad on remote-work focused newsletters such as JobScribe and Remotive. Outside of job boards, communities and newsletters, consider hiring recruiters, attending job fairs, contacting your local university’s employment center, or posting ads in local newspapers. As a small business owner, you are competing against larger and richer firms for talent. A skilled employee will obviously ask: why should I work with you?. 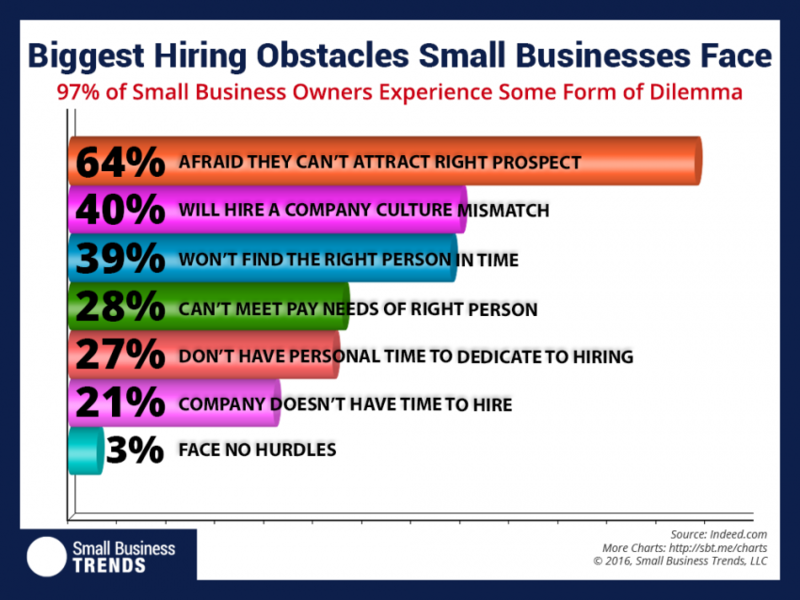 In fact, 64% of small businesses worry about not being able to attract the kind of talent they want. A strong ad is a powerful persuasion tool in getting people interested in your job. This ad is an applicant’s first introduction to your company. If you can make an impression, you will undoubtedly increase the quality and quantity of applications you get. Why should a candidate apply for this job? If you have a good understanding of your requirements, this part should be easy enough. Here comes the third question — why should someone work with you? For a small business, this can be particularly hard. Most of the time, you can’t offer the same compensation as your bigger competitors. Nor do you have the brand name recognition of a Fortune 1000 company. Small companies often offer more flexibility, more job diversity and the possibility of high growth. Many entrepreneurs (also) treat their workforce as if it’s an extension of their family. It’s better to embrace your size (and the advantages it brings) than to pass off as larger than you actually are. You’ll find that you’ll attract employees who value freedom and individuality than pay packages when you do this. Create a compelling ad and you’ll see applications roll-in. Hold interviews and evaluate each applicant based on the requirements you outlined earlier. Remember that it’s illegal to discriminate based on age, race, creed, color, religion, national origin, gender, and other categories protected by the laws in your country. Keep off asking questions about those areas. Once you find the right fit, make an offer and jump to the next section to manage your new employee(s). Hiring a new employee is only half the battle; you also have to onboard, manage and lead them to deliver their best possible work. Staff onboarding is the process through which new employees learn the duties, people, and programs they need to do their work. Large organizations typically have formal onboarding and training programs for new hires. Small businesses, however, often onboard people on a case-by-case basis. Assess the employee’s past experience and understanding of your business’ processes and technologies. Ask the employee about his/her shortcomings (in terms of knowledge and skills) vis a vis your business. Introduce the employee to key people within and outside your organization (such as suppliers) related to their work. Instead of developing a fully-fleshed onboarding program from the start, try to learn from each employee. Identify their weaknesses and gaps in knowledge, then add them to the onboarding program. Make notes in a Word/Google Doc file to create instructions (a handbook) eventually. You won’t have to explain the rules over and over again (chances are your new employees will need some time to remember everything, or you might be working with many non-permanent freelances). Once you are sufficiently confident, give the employee access to key tools and accounts. A part of your work happens online, so your team needs to know about necessary security tips to stay safe from fraud, hacker attacks and losing data. 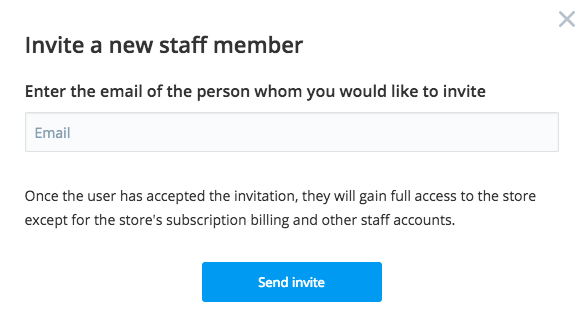 If you’re using Ecwid, you can easily create Staff Accounts to give new hires administrative access to your store. 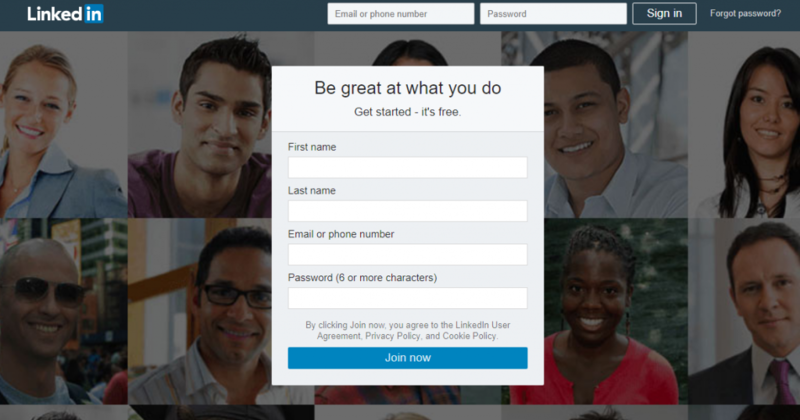 You can do this by going to Control Panel → My Profile → Staff Accounts and click Add new team member. Store managers, fulfillment operators, designers, marketing managers, etc. can use their staff accounts to manage sales, update product details, change tracking codes, prepare orders. They won’t be able to see and change your billing plan, delete your store, and manage the other staff members. Delegating work this way can free up a lot of time and help you focus on more strategic areas of your business. Successful onboarding will give new employees the tools and knowledge they need to be successful at their jobs. Beyond the onboarding phase, however, there are a number of things you’ll need to do to keep employees happy and productive. Communication routinely ranks near the top of the list of desirable traits for new employees. It doesn’t matter what role you hire for, you need to set communication protocols early, especially with remote hires. Make it clear how and how often you expect your new hires to communicate with you. Practice the same yourself since communication standards are usually set by the leadership. Use the right tools for communication — email, Skype, Slack or integrated project management tools. For communication best practices, refer to the article on Forbes as a start. No matter what kind of store you run, you’ll invariably have issues. You need to establish clear processes for identifying and dealing with these problems. Mission-critical issues such as the site going down, a major complaint from a high-value customer, etc. Use phone calls and IM to communicate such issues. Important but not urgent issues such as a regular customer complaint or a marketing question. These usually have a deadline of 24-48 hours. Use email, IM or chat tools to communicate such problems. General issues that don’t need immediate resolution, such as changing the site’s theme or a product copy. They usually don’t have a hard deadline. Communicate these issues over email. The ability to work well with a team ranks right alongside communication as a must-have skill for employees. In a highly collaborative business such as e-commerce, teamwork becomes all the more important for success. Lead from the front by creating an environment where you encourage contributions from all team members, regardless of their seniority or role. Use collaborative tools such as Asana, Basecamp, etc. to give all employees a clear view of each project. 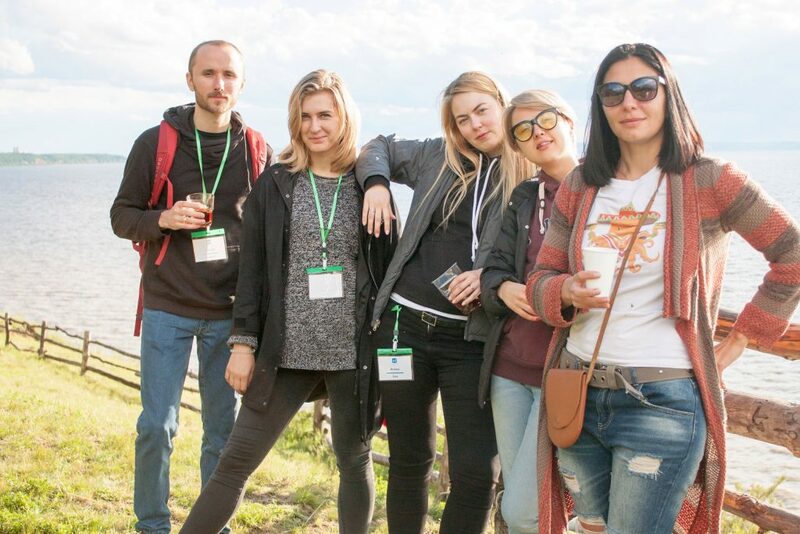 Set up team-focused games and activities to build team spirit and develop a sense of camaraderie. They don’t have to be about training motivation or leadership — just have fun together and let it be different from a day in the office. Communicate clearly and regularly with all members of your organization. Set up one-on-one meetings with each team member. Your culture is the glue that binds your organization together. Although it is hard to quantify, culture — the values and ideas that guide your business — is vital to growth. For example, we here at Ecwid practice what is called No blame culture. We understand that no one comes to work with the intention of doing a poor quality job. So if something goes wrong, it’s not about finger-pointing at the one to blame but revealing the organizational deficiency and fixing it. That approach helps to nurture healthy work relationship between team members and proactive behavior. If you’ve already got a team of your own, you should try it. Companies with a strong culture are happier, and happier companies are more successful. Research also shows that companies with strong top-down cultural leadership, i.e. founder-led companies, tend to outperform others. The problem is that you can’t artificially create a culture; you have to let it emerge organically from your people and your environment. Your goal as the business leader is to guide employees and align the culture with your vision. Evaluate all your decisions in the context of culture. Who to hire, what kind of marketing campaigns to run, what products to sell — all of these should come organically from your company’s culture. Do this one thing and you’ll have a workplace filled with happy, motivated people. Have you hired employees to your online store? If yes, what tips and takeaways did you learn from your experience?